As people grow older their risk of coronary artery disease (CAD) increases so they are more likely to need a stent inserted into a diseased artery. The stent used can either be bare metal or drug-eluting: that is, one that has a polymer coating that slowly releases drugs into surrounding cells to block cell proliferation. When stents are inserted, antiplatelet therapy is needed, but this can be given for a shorter time when a drug-eluting stent is used. Management of CAD in older patients can be challenging as they often have more extensive and complex disease and are also more prone to bleeding complications when receiving antiplatelet medication. 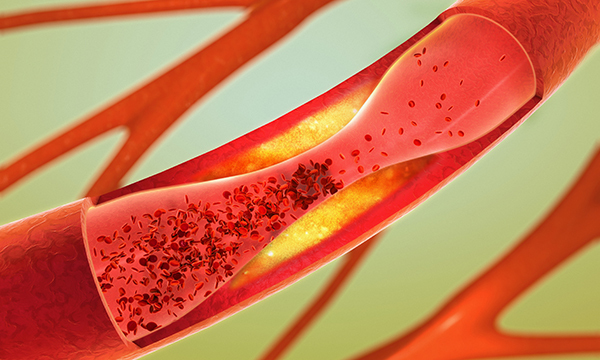 Unfortunately, older patients have largely been excluded from trials, so it is unclear whether they are best suited to bare-metal stents with a longer course of antiplatelet drugs or to the newer drug-eluting stents for which shorter antiplatelet therapy is used. This randomised trial aimed to compare outcomes between the two types of stent in older people. Patients with coronary stenosis, aged 75 years or older, were recruited from 44 centres in nine countries. The researchers measured cardiac and cerebrovascular events during the first year. Findings showed that those receiving the drug-eluting stent had reduced levels of cardiac events or stroke. This suggests that modern-era stents followed by short-term antiplatelet therapy can safely be used for older people. Varenne O, Cook S, Sideris G et al (2018) Drug-eluting stents in elderly patients with coronary artery disease (SENIOR): a randomised single-blind trial. Lancet. 391, 10115, 41-50.